Michael has been creating award-winning photographic images of the American landscape for over 15 years. 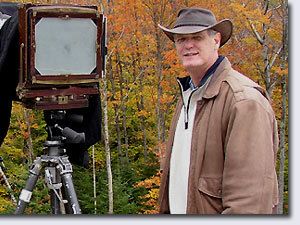 Moving quickly from 35mm systems to 4x5 inch, and ultimately to 8x10 inch large format field cameras, Michael always strives to bring that wonderment and joy to his images which defines the wilderness experience. As with any creative pursuit, capturing that "natural high" of wild places to film, or finding a unique take on a natural display is an unending process that requires critical thought and an open mind. Returning time and again to his favorite locations and subjects, and always seeking out new opportunities to find new and different imagery, Michael continues to pursue the perfection of stunning reflections of Mother Nature's finest work. Traveling throughout the world and frequenting American national and state parks along with other interesting locales, Michael is constantly making new additions to his collection of hundreds of striking nature images.